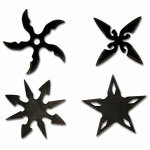 A ninja's gear must be lightweight, compact, and plentiful. Enter the Death Lotus Pocket Shuriken Set. 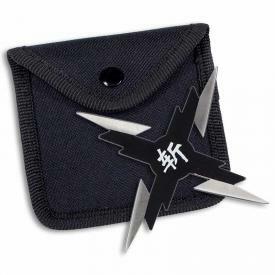 Made from durable Stainless Steel and finished in a stealth-black paint job, this sleek set of pocket shuriken are perfect for a multitude of ninja missions. 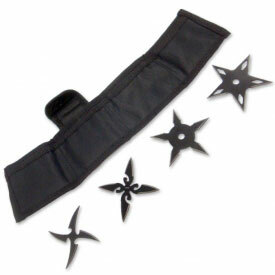 This set of 4 stars, complete with carrying case, belongs in every ninja fan's arsenal. 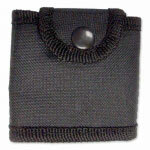 Throw one in your cart today! 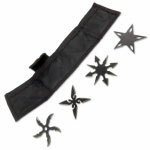 "Though I expected them to be small, they still seemed a little smaller than expected. 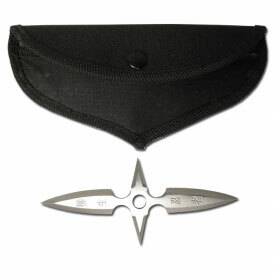 Seem to be decent quality and have good edges. They stick into a cardboard box quite nicely. "